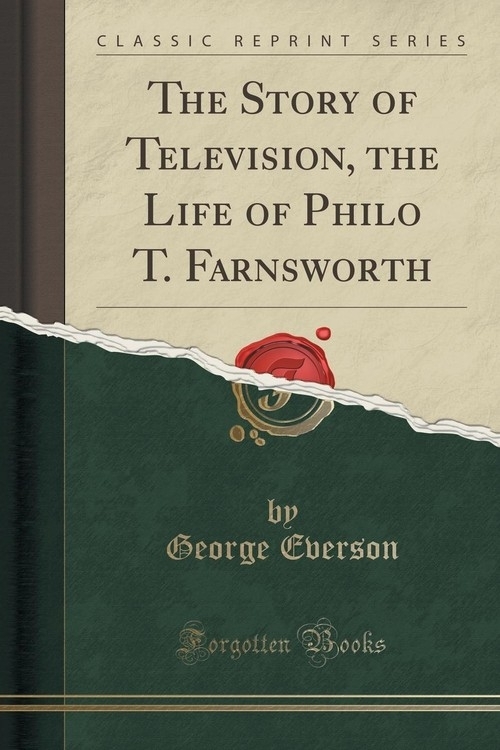 Excerpt from The Story of Television, the Life of Philo T. Farnsworth<br><br>This Book is a tribute to the inventive genius of Philo T. Farnsworth, one of the greatest yet least publicized scientists of our generation. It also stands as a tribute to the American way of life, in which ingenuity and progress are encouraged by our system of free enterprise, and to the courage, vision and faith of modern pioneers of American industry such as George Everson and Jesse McCargar.<br><br>This story of Philo Farnsworth, who through perseverance and unending research rose from an obscure farm boy with an idea to a famed inventor with a discovery that is enriching our living, contains all the elements for a Horatio Alger tale. But the story of Farnsworth is true. Moreover, it didn&apos;t take place in the days of Thomas Edison, Alexander Graham Bell and other great inventors - a period when America was "growing up" and when the vast field of science was first opening to historic discoveries. This story has occurred entirely during the twentieth century; it belongs to our generation.<br><br>Farnsworth was a teen-aged youth when in 1922 he conceived his scientific ideas for an all-electronic television system - the system that provides the basis for television in use today.<br><br>About the Publisher<br><br>Forgotten Books publishes hundreds of thousands of rare and classic books. Find more at www.forgottenbooks.com<br><br>This book is a reproduction of an important historical work. Forgotten Books uses state-of-the-art technology to digitally reconstruct the work, preserving the original format whilst repairing imperfections present in the aged copy. In rare cases, an imperfection in the original, such as a blemish or missing page, may be replicated in our edition. We do, however, repair the vast majority of imperfections successfully; any imperfections that remain are intentionally left to preserve the state of such historical works.